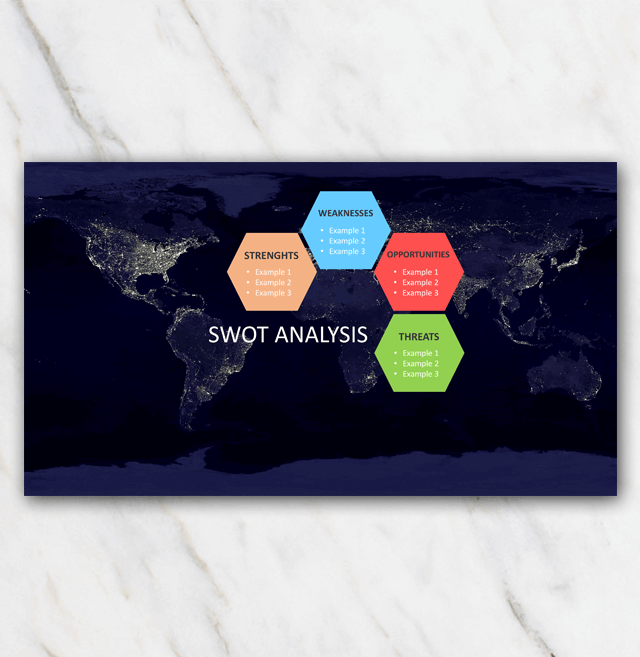 SWOT Analysis template in Powerpoint for FREE | lovely background! Nice shapes on a professional dark background. Check out this lovely SWOT analysis template in Powerpoint. Download the template for free and edit the information. Want to change the colors of the blocks? No problem, you can modify them to your wishes. Not exactly the template you are looking for? Check out the overview page with more options and download them all for free.